You may have heard the rumors, and, yes, they are true. After seven long years, the 2019 Ford Ranger will return to the US market. This staple of the compact pickup truck had been around since the 1950s, but has only been sold outside the US / Canada market starting in 2012. Beginning in 2019, the Ford Ranger will be seen again on American and Canadian roads. But, be warned: it will look nothing like the Ford Ranger you might be used to. 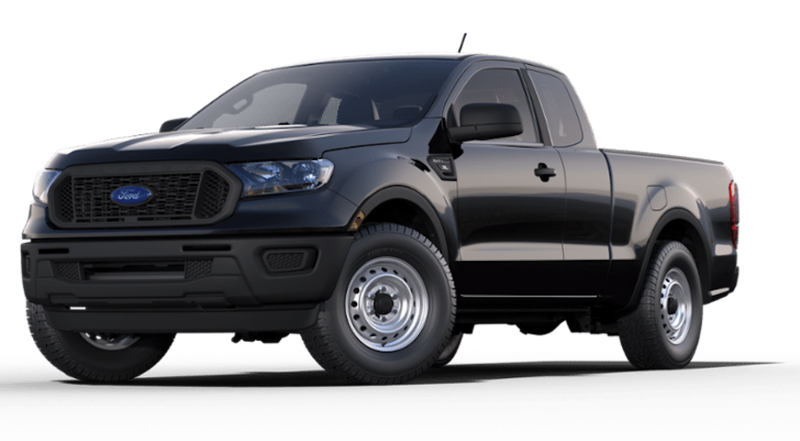 The compact truck formerly known as the Ford Ranger was significantly smaller in past generations, which debuted back in October. This truck will rival the Toyota Tacoma, the Chevy Colorado and the GMC Canyon. Based on Ford’s storied history in the pickup truck market, they should jump out of the gate with no problem. The compact truck market, that once was dominated by the Ford Ranger and the Chevy S-10, is no more. The mid-sized pickup truck and full-sized pickup truck are all people buy anymore. And do they ever buy them! It is a high-selling market with steady growth. The Ford F-Series is the best-selling truck of all time. In fact, it is one of the best-selling vehicles, period. The people at Ford know how to successfully design a truck. The 2019 Ford Ranger will surely have similar looks as its F-Series big brother, at least for the first model year. Take a look below at some of the things to look forward to in the 2019 Ford Ranger. 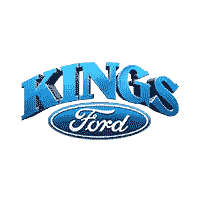 When you are done, come over to King’s Ford in Cincinnati and check out this brand new truck for yourself. For its first year back on the road, the 2019 Ford Ranger will only feature one engine option. All trim levels will get a 2.3 liter 4-cylinder that is capable of 270 horsepower and 310 lb-ft of torque. It is paired with a ten-speed automatic transmission. While Ford has not yet released its expected fuel economy, given the 4-cylinder and 10-speed transmission, we can expect the fuel economy to be pretty good, especially for its class. While other trucks in this class offer more than one engine option, Ford feels confident enough with just the single engine, for now, at least. The respectable horsepower and torque will lend itself well to competitive towing and hauling rates. In fact, the 1,860 pounds the 2019 Ford Ranger can haul is indeed the best in class. That is quite a bit of weight for any truck of that size. Whether it is work materials, weekend gear or moving furniture for a friend (or yourself), the 2019 Ford Ranger has quite a bit of hauling power. Due to the two different kinds of cabs offered, the 2019 Ford Ranger has two different sizes of truck beds. With the extended cab option, the cab is 72.8 inches. The crew cab option shortens that to 61 inches. The overall cargo area in the extended cab is 33.9 cubic feet, while the crew cab has a cargo volume of 26.5 cubic feet. For a truck of its size, it has plenty of room in the bed for hauling certain objects. With its best-in-class hauling capacity, they don’t necessarily have to be light objects, either. As far as towing goes, the 2019 Ford Ranger has a max of 7,500 pounds of towing. This is best against any of the V6 engines in the 2019 Ford Ranger’s class. The only engines that can top that are diesel engines, and even then by only a couple of hundred pounds. It is clear that even though the 2019 Ford Ranger only has the one engine option, that engine can measure up with any in its class. Ford has a very interesting towing technology that has been integrated into the 2019 Ford Ranger. It increases the range of the blind spot detection system when a trailer is attached. Radar located in the taillights extends the blind spot zone down the length of the trailer and will alert the driver of any possible intrusions into blind spots. This can help you keep your eyes on the road in front of you and not constantly checking your mirrors when towing a trailer. 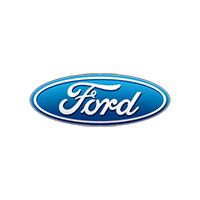 Ford has consistently shown itself to be at the top of the automotive world when it comes to technology, particularly when it comes to safety features. The 2019 Ford Ranger is no exception. It contains plenty of standard and available safety features, among them there is lane keep assistance and lane departure warning. This feature will alert the driver in the event that the 2019 Ford Ranger begins to drift out of its lane without a turn indicator. If the driver does not correct themself the 2019 Ford Ranger will readjust on its own to stay in the intended lane. It also features stability control. This is particularly useful for those who wish to take their 2019 Ford Ranger off-road. Stability control helps the driver maintain control of the 2019 Ford Ranger in uneven and dangerous terrain. If you plan on doing any amount of off-roading this feature will surely come in handy. It not only keeps your 2019 Ford Ranger safe from any accidents it also makes the experience more fun and worry free. To go along with the stability control Ford has a new feature they are calling Trail Control. It is kind of like the opposite of cruise control. When off-roading, Trail Control will keep your 2019 Ford Ranger at a maximum 20 miles per hour, allowing you to concentrate on steering. The Trail Control feature will handle all the acceleration and braking for you and let you enjoy your off-roading just that much more. The 2019 Ford Ranger also comes with front, side and overhead airbags. In the event of a road collision or off-roading incident, these airbags automatically deploy to cushion the front seat passengers from all sides and angles. Modern technology has afforded automobiles the ability to be a home away from home when it comes to available comforts. Pickup trucks, however, are sometimes left out of that world. Pickup trucks are often seen only as utility-only vehicles and some automakers will offer their base model with just the bare skin and bones needed for a work truck. The 2019 Ford Ranger, on the other hand, comes with plenty of standard and available features. Even the base model comes standard with a 3.5” touchscreen infotainment center. You can upgrade to a 4.2” touchscreen or the 8” touch screen infotainment center, as well. Further infotainment options on the 2019 Ford Ranger include Apple CarPlay and Android Auto, satellite radio, navigation, and Wi-Fi. So, if you are the growing part of the country that is moving more and more away from AM/FM radio and moving more towards podcasts or playlists you can integrate your smartphone and instantly have access to your own personal commute entertainment. Are you as excited to see the 2019 Ford Ranger as we are? If not, you will be when you see the price tag. This slick, modern upgrade starts out at only $24,000 MSRP. Ford truck lovers have surely missed the Ranger being an option. The F-150 is undoubtedly one of the greatest vehicles in automotive history. It has the numbers and pedigree to cement its place in vehicular history for all time. But, some people just don’t need all that truck. In recent decades, especially in North America, pickup trucks are becoming more and more popular as commuter and even family vehicles. The 2019 Ford Ranger will fill a hole left by its ancestor eight years ago as the perfect truck for someone that doesn’t need as much truck as the F-150. When you are ready to get an eyeful of this resurrected truck, come over to King’s Ford in Cincinnati. Our sales staff will be more than happy to show you around the 2019 Ford Ranger, from under the hood to the trailering system and everything in between. We know you will have questions, but we will have the answers. Our finance team can help you navigate the often murky waters of financing a new vehicle. We know all too well how tricky the financing process can be. Our professional finance department will walk you through every step and every option, whether you are looking to buy or lease. We can also explain any incentives, rebates or discounts you might be eligible for. Our service department is your last stop before you get to go play with your new 2019 Ford Ranger. You just made a significant investment in a high-tech piece of engineering and machinery. You want to make sure that it runs in peak performance for years to come. By setting up a maintenance schedule with our talented service technicians, we will be able to do just that. If you can’t get down here right away, check out the 2019 Ford Ranger in our online showroom. It is always open and features not only the 2019 Ford Ranger but all of our cars, trucks, SUVs and much more. We look forward to meeting you!